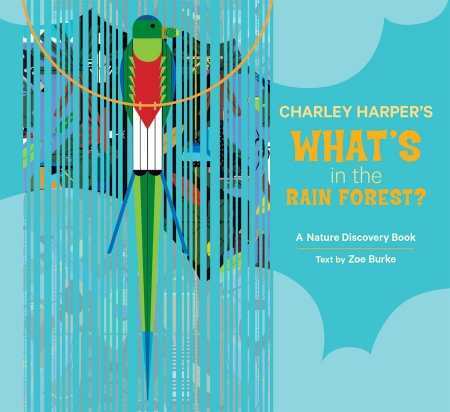 Pomegranate continues the Nature Discovery Book series with Charley Harper’s What’s in the Rain Forest? Zoe Burke’s rhyming text introduces young readers to thirty different species of rain forest dwellers—birds, butterflies, monkeys, and more. The playful tone calls out animals of all sizes and shapes. Depicted with colorful images taken from Harper’s painting Monteverde, the illustrations introduce the various creatures that inhabit Costa Rica’s Monteverde Cloud Forest Preserve.